This is a decorated box by a local artisan. 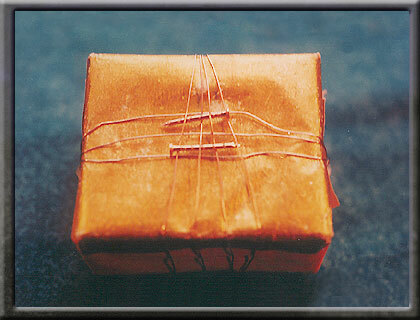 It is covered in copper cloth and wrapped with copper wire. This is a one-of-a-kind urn. Similar personalized styles can be created.